We’re excited to offer exclusive programs for Brownie, Junior, Cadette, and Senior Girl Scouts. Each program is designed to help groups fulfill requirements towards Girl Scout badges. Private group programs allow you to pick the day and program for your troop. All Manitowoc County Historical Society-based Girl Scout group programs satisfy requirements towards select badge fulfillment, unless otherwise noted. Advance registration is required and programs may be reserved during operating hours. Programs are 2 hours long, unless otherwise noted. All programs are led by Manitowoc County Historical Society staff and volunteers and make use of the Society’s objects, images, maps, and documents. Programs must be scheduled at least 3 weeks in advance. Programs cost $6 per scout, sibling, leader, and parent. Pinecrest Historical Village admission is included in the cost, should your group decide to explore on your own after your program. A minimum of 10 scouts is required to reserve a program. Programs can have up to 30 scouts, unless otherwise noted, and must have one adult chaperone for every 10 scouts. Lunch space is available both indoors and outdoors at our site. The Manitowoc County Historical Society is open from May 1st to October 24th, Tuesday through Sunday, from 10 am to 4 pm. 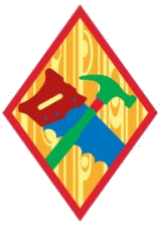 Scout groups are responsible for purchasing the badge following the completion of the program with MCHS. Click “REGISTER” under your desired program to complete the online registration form. Send an email to programs@manitowoccountyhistory.org, or call (920) 684-4445 with questions regarding Girl Scout programs. Learn how to play fair and use teamwork by playing popular pioneer games. Find out where science has been hiding in your home and how pioneers used science to explore the world around them. Find out more about your family—the people you love and who love you. Explore what it was like to live in the past. You’ll learn how girls of the past lived, worked, and played.